Lake Central Fence LLC is your one stop shop for all your fencing and handrail needs. We install all styles of residential or commercial fencing and handrail including automated gate operaters. 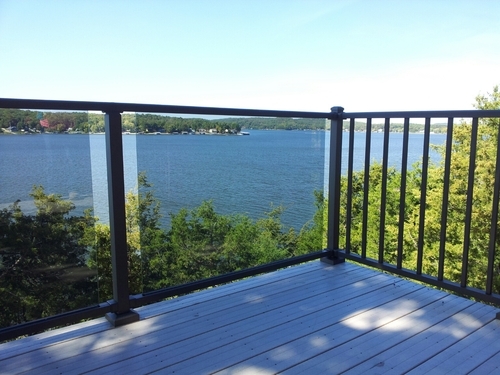 We offer galvanized chainlink, vinyl coated chainlink, powder coated aluminum (lifetime warranty), vinyl (lifetime warranty), and wood fencing. 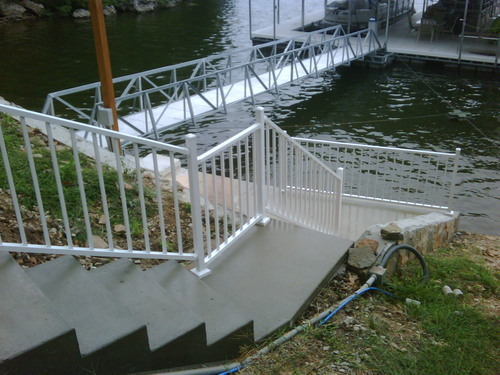 We also offer aluminum,vinyl and custom steel handrails. We install all products as well as sell quality material. We have serviced the entire Lake of the Ozarks area for 10+ years and pride ourselves with superior customer service. Give us a call today and set up your free consultation. Basic Skid-Steer work. Grading, snow removal, digging post holes, trenching etc. Basic welding, fabricating, water core drilling up to 4" diameter hole.